We provide a simple cost-effective but efficient, airport shuttle service operating 7 days a week between Montego Bay airport (Sangster Intl) and Rosehall, Trelawny, Montego Bay, Tryall, Round Hill, Lucea (Grand Palladium), Runaway Bay, Negril, or Ocho Rios resort. Book now and your transfer will be confirmed within 24 hours. You will be provided with a travel voucher to present on date of transfer. • Save Time and Money! From 1 to 9 persons: $25 USD per pax, per way. From 1 to 9 persons: $10 USD per pax, per way. From 1 to 9 persons: $15 USD per pax, per way. From 1 to 9 persons: $22 USD per pax, per way. From 1 to 9 persons: $20 USD per pax, per way. It was an excellent experience!!! You guys were about the only thing that did go as planned. My bus driver was very nice and informative and my car driver was also pleasant. I will definitely be using Jaital again. my experience was great, my Driver, was on time, courteous and made sure I was comfortable on the ride. I would use your service in a heartbeat. Thank you for providing our transportation to and from the airport to our resort. Everything went very smoothly. Our pick up from the resort was there at the time we was told. So much appreciative for that. We would definitely use your services again. The service was great! We enjoyed it. My shuttle service was a great experience in all ways. The price point was very reasonable and the drivers made the trip truly enjoyable with their wonderful sense of humour and professional driving ability. Whenever I return and require a shuttle , Montego Bay Shuttle will always be my first choice. Thank you for the great service ! Our experience with your company was very good as always. We make sure to use you for our transfers to the hotel and airport when we come to Jamaica every year. Your drivers are very nice and you make us happy arriving in the country and also going back to the airport. We can count on you for friendly service. We will see you next year. Everything was great and the driver was wonderful! I had a wonderful experience with your staff, and made it to my location safely with the help of your driver. We were very pleased with your service. Will book next time we travel. All went well with our transfer and we appreciate the service. We hope to visit again in the future and will definitely use your services again. Our drivers during arrival and departure were great, and the got us to our destinations in a safe and timely manner. When we arrived in Montego Bay we had no problem going to the counter, checking our papers and getting on a large bus to be taken to Coco LaPalm and Negril. The ride was fine, traffic was heavy. Our driver was polite, informative and very attentive to the road and traffic. Our return trip to Montego Bay was just my wife and I and our driver in a small van. I regret that I didn’t get the driver’s name. He was terrific. As he drove ( he was very attentive to driving) we discussed all sorts of aspects of Jamaica - education, economy etc.. He was well informed and our discussions were extremely interesting and informative. A great experience all around. Our experience with to our company was great. ll was great, no problems what so ever. Great driver! The booking process was extremely easy and efficient. Very good service. Your driver was great entertainer! Our experience was very good, the driver arrived even 10 mintes before the scheduled time and we were at the airport perfectly on time. The service was perfect, and the driver was professional. I will use again next time your services. Great service courteous drivers always a pleasant experience.Use your service every year.. It was great! Everyone was smiling and happy from check in the drop off! Everything went well, both pick up & return to the airport were on time with a friendly driver. Very happy with the service. Our travels to Jamaica went very well. Our experience with your service was excellent. This was our 6th time going to the RIU Palace in Montego Bay and each time we have used your service for our ground transportation because of your excellent service. Good ride and great conversation with the driver. We had a very good trip on the coach. The driver was professional and polite. He was informative and got us to our destination safely. We were very pleased with the way everything went both to and from the airport. Our drivers were very friendly as well. Thanks for helping make our vacation go smoothly! The service was great we greatly appreciated you guys being punctual and providing great customer service. Will definitely use you in the future. Your service was just AWESOME!! Keep doing what you are doing!! Excellent!! I had a very good experience w/ yr service. I was in Jamaica over ten years ago and had a bad experience w/ cab driver. So this trip I opt to try something different. I was pleased w/ punctuality of drivers both way (round trip), professionalism and service. I also stayed in all inclusive resort vs an independent hotel on my last visit. My overall experience was far better this time. I waited a little longer than expected for the shuttle to leave the aiport and it took much longer to get to Negril (2 hours) but the driver was nice and a good at his job! Great experience! Shuttle was on-time and the driver was always courteous and friendly. Thank you and I look forward to riding with you again. Drivers were great. Forgot his name, but whoever picked up was the absolute best. Had a great time with him. He provided loads of information on the trip. Very courteous and polite driver. On time pick up from Sand castle both times. I will certainly recommend my friends, keep up the good service love Ja. My experience with your company has been flawless. I was well received in the airport, and I was shown to the bus which was comfortable, and the driver was friendly, helpful and humorous. He made it an enjoyable ride. So thank you! Everything was great. Would take the service again and recommend to others. Everything was great!! Thank you so much. Website was great--very easy to use. Counter check in policy at the airport was easy and friendly. I had a positive experience with Jaital. The bus driver was really nice and I enjoyed talking to him as he was very informative about places to see and gave good suggestions. I would definitely arrange transportation again with Jaital. Our vacation was wonderful, and the shuttle service hassle free. The drivers were very nice and shuttles were there in good time and left in good time. The ride was great! Great host! We had a great travel with Jaital shuttle! We felt safe and the driver there was awesome!! He was so informative, telling us all about the history and where things are in Jamaica, while also being funny and keeping things fun. So happy we picked you all to travel with! No issues upon arrival in the airport and going to the resort or on the return trip back to the airport. Thank you for such a good experience with the shuttle service from/to Montego Bay airport. The drivers were friendly, funny, and knowledgeable about Jamaican history which was shared on the commute, drove safely, and most importantly, on time! I had to call customer service as well, and the gentleman that assisted me was polite and took care of my issue quickly. Overall, I enjoyed using Jaital for my travel and would certainly do so again. Thank you so much for your services. Everyone was so helpful and pleasant. I have to give a shout out to our driver, loved his sense of humor, and he was so informative. He made our travels to the hotel fun. You have an absolutely beautiful island and I look forward to coming back soon. My trip was comfortable and pleasant, thank you for your professionalism. We were picked up on time from Montego bay at night in a minibus and returned to the airport on a lovely air conditioned coach with a film to watch which I enjoyed. Both experiences were great. Our experience was great. The drivers were very friendly and professional. We were driven safely and every thing was on time. The price was affordable and the customer service was really amazing. I will be using your service again because we come there very often. And i will definitely recommend it to any one else i know travelling to Jamaica. Thank you for a great experience. Thank you so much for your shuttle service! The process from the pick up at the airport to the drop off at our hotel was smooth. Our driver kept us informed of how many stops we were gonna make and our arrival time to our hotel. Along our ride the driver would point out historical places and the stories behind it as well as suggest where to eat and venture out. Overall I would recommend Jaital to all my friends and family. The experience was superb. Both the front desk and the bus driver. MY experience was lovely and I plan and using u guys again! The staff were beyond fantastic. As usual I didn't read the fine print from the confirmation I received. So I didn't print it out and on top of that my phone died. Not only did they let me charge my phone, they assisted me with transferring the confirmation to their email to print out my information, they also arranged for the driver to drop me off and call the owner for my pick up near the villa. The jokes that ensued, the friendly nature of the staff let me know that on my next trip to Jamaica, I will only utilize their service. You have a fantastic team in place. I'm so happy I found you! Your company did an excellent job. The people were very friendly and helpful. They made our transfer from the airport and then back to the airport the next week very easy. We will definitely use your company again. Our experience was great- no issues whatsoever. We really liked our driver that took us to the airport . Good experience. Both drivers very nice and friendly. Everyone was friendly and helpful. We would book you shuttle again. Our experience driving out to Negril was excellent. Our driver was terrific. He was very friendly and personable. He set us at ease immediately and was very clear and positive in his communication with us. His driving was excellent. On the way back to Mobay, our driver. Again, a very friendly, positive fellow whose driving was impeccable. As you can see, we were extremely pleased with our experiences with your Montego Bay Shuttles. Also, you site was very easy to deal with. My experience with Jaital was wonderful. It was so easy and seamless. Thank you for giving my family and I one less thing to stress about. Great trip! The staff was outstanding. It was a good experience and I enjoyed the service. Your staff was extremely helpful, professional and friendly. They assisted us with getting on the shuttle, safe arrival to our hotel and the return shuttle was equally terrific. The driver was very engaging, knowledgeable, polite and very welcoming. We will Be sure to refer you to future travellers and will use your company again on future trips. I was very please with the service on both occasion, very proffessional and polite, specially the gentlemen on my return to the airport on the 27th of january pick-up 6h20. Thank you and will book again when ever back in Jamaca. It was overall an amazing experience! Thank you so much for everything!! We had a very good experience with your shuttle service, both from and back to the airport. We enjoyed your trip very much. Jaital was an excellent service. We used this as transfer from airport to Grand Palladium and back. It was so easy and fast for us from airport and returning. Friendly staff and very helpful. We also used Jaital from Grand Palladium as private driver to take us around Montego Bay - his name is Michael. He was so friendly and showed us the local areas of Jamaica as well as taking us around to see the local and tourist areas. We would recommend this company to our friends. I had a very good experience at Jaital. The chauffeur was on time and very helpfull with my luggage. Thank u for the great service! Our experience was fabulous !!!! My wife and I enjoyed the bus trip from Montego Bay to ocho rios. Your driver was entertaining, very pleasant, and helpful. We will be passing your company on to others to use. The ride both ways was pleasant. Good driving and on time pick up. Comfortable and clean vehicles. Will use again and will recommend to friends and family that will visit Jamaica in the future. Your bus service was excellent from time of arrival to departure. The trip was easy and convenient. The driver was very skilled. We couldn't believe he was able to get the bus around the circle driveways at the resorts. We would definitely use you again. Everything went great, i will be suggesting Jaital for anyone i know going to Kamaica. The driver was courteous and made good time getting to the airport. Everything was great from the email communications, pick up time was on time and the driver was excellent. If I remember the driver’s name was Andrew. When we come to Jamaica again we will definitely use Jaital again. I have used Jaital many times and have always been more than pleased. We appreciate the experience with Jaital from the time we arrived at the airport with the men and women there to our first destination, everyone was kind and accommodating. The concierge, the front desk, the person assisting with luggage, and the driver..Everyone! When we arrived we went to the Holiday Inn but was tranferring to the Sunsplash the next day. Camille made sure everything was set up correctly when I left Holiday Inn. Korrine, at Sunscape Splash, finalized everything there and made sure we were scheduled for pick up for the Friday departure. My experience with Jaital was nothing but impeccable. We really enjoyed everything. Kudos to you and your staff for making our 2nd experience and my son's first experience memorable. It was very organized. I was skeptical at first because usually when I travel the shuttle transport is included in my package. But I was pleased with the service I would definitely book you guys again for my next trip to Jamaica. Our experience was wonderful!!!! The shuttle was clean and well kept at a nice temperature with air conditioning. The driver was the best part! His name was McFarland and he played music the whole way to the airport. As we were driving by certain landmarks of Jamaica, our driver was able to give details of facts about each one. I honestly learned more about Jamaica on the way to the airport than I have on all past trips there. Truly a great way to end our trip. Thank you!!! All went well. Clean bus. On time pick up. Our experience was great! The guides and drivers were very professional and helpful! We will continue to use your services in the future. Dear All, Everything went well with my journey. Driver was very helpful. Another passenger, who was obviously a 'first-timer' said she would have liked some on-board music/entertainment! Having the radio on perhaps would help! I had a great trip. Everything went well. The staff were very accommodating and helpful. The driver was humorous and drove us safely to our hotel. Booking on your website was easy and informative. Excellent service to and from. Definitely will use Jaital exclusively in the future. My driver went beyond the call of duty to make sure I arrived at my final destination safely. Good driver experience. Both driver's were friendly and efficient. Did not like waiting 40 minutes to leave the airport. IT WAS EXCELLENT!!!!!!!!!! WEBSITE, GUIDES AND DRIVERS WERE ALL VERY HELPFUL!!!!!!!!!!!! ALREADY LOOKING AT DATES TO COME NEXT YEAR!!!!!!!!!!!! Our experience with the shuttle service was very good. The staff was very helpful and friendly - we definitely will use it again. Great service from beginning to end driver was great and very informative!! My new service whenever I'm in Jamaica! I had a very good experience with your services. The drivers were friendly and courteous and the ride was smooth. They were also on time which was greatly appreciated. Keep up the good works. September 2017 was our first vacation in Jamaica. It was a learning experience. Absolutely breathtaking scenery, we'd love to visit again. When we book our next reservation we will also book the Jaital shuttle. It was affordable, convenient and the driver, Jimmy was very friendly and knowledgeable about the countryside. Great service, big thanks. Great experience. The shuttle arrived on time at 6am. The driver was professional and courteous. And he drove well! I will definitely look up Jaital in the next country I visit. Really great experience . No issues. Driver was really nice and informative on drive. Your service was great, the drive was smooth and relaxing. The trip was great, however the Customer Service Representative at RIU Ocho Rios needs some training in Customer Service skills. It's s long story and I do not have the time to go into it, but hopefully it can be addressed. Thank you for your services! Our experience was flawless. Your drivers were prompt and courteous! This was our 4th time in Jamaica and we have used your company before. We enjoyed our stay very much and we will be back! Have a great day and god Bless! I will definitely use your service again. It was easy to find the check-in desk, and I was at my hotel very quickly. Great Service and reasonably priced! Will use again. Very happy with your service. Everything went as planned. Will be using you again the next time we are in Jamaica. The experience was great... the people at the customer service desk were very helpful and it went fairly quickly, and the shuttle service was awesome! I had a very good experience with your company. Everything went extremely well, from airport pickup, tours and airport drop off. The service was excellent I would definitely use your company again. Great i will use it again! My experience was a good experience. The driver and the staff that got us too the shuttle were efficient and helpful. My experience was very pleasant going to the resort & leaving for the airport. I would recommend Jaital for any transportation need. Hope to use your services again in the near future. Although it was a little confusing outside the airport on which bus to get on the overall service was excellent. The men handling our luggage and the driver were great. I would recommend your service to others. My trip was great and on time. I had a wonderful experience, both coming to Jamaica and leaving. The drivers were knowledgeable about the surrounding area, and especially the driver that pick me up from the hotel, I thought it was going to be a miserable ride but he made me want to come back to Jamaica. Good experience for a good price. Will use your service again the next time I visit the island. Your company was outstanding! Everyone was very helpful and very kind. We will use your service again when we come back to Jamaica! Thank you for everything! I am not sure if everyone was in a good mood or what but both trip to my hotel and from was excellent. Everyone was professional and very helpful. I will be booking in the near future. Transfer operated smoothly, was picked up on time, bus was comfortable. Was at airport in a timely basis. Would use service again if needed. Your drivers were fun and courteous.... we learned some history about the island on our way back to the airport. Thanks for being affordable! The team were very professional on all aspects of the pickup and delivery from the airport to our hotel. We have been to Jamaica and had a wonderful time. Your team from arrival at the airport to transfer to our hotel and return was wonderful. You have a caring team and we appreciate your courtesies offered to us. We have used your services in the past and will do so again when we return to Jamaica. We will also share this information with friends and family going to Jamaica. Members of our group used your services to do the Dunn’s River, Montego Bay and Negril Tours. The website experience was great. However the actually driver was kind, prompt, and a great driver!! The ride was OK, bus was an old unit... The experience with all paperwork not OK, your team at the airport are very strict and do not facilitate a thing. We were with a child. Bus drivers were VERY nice and helpful! Thank you for for helping to make our trip as wonderful as it was. Your company was very helpful in all the changes we had to make and it went smoothly so again thank you.. Excellent service. On time and very nice employees!!!! The service was exceptional. The drivers were courteous and professional. They also were very punctual. Make sure you get the round-trip from Montego Bay airport to your resort and back. It's cheaper. This was the second time using your company for transfer to and from my destination. The service offered was excellent the bus arrived on time each time, the bus was clean and tidy and as for the drivers they made you feel welcome and kept you informed of the history of Jamaica during the journey. This is a very good service and I will continue to use it when I return. I had a good experience and enjoyed the drive - the driver was very nice! Fantastic experience. Everything went smoothly and it made our trip less stressful. Our experience was superb. Thank you!!! We will use your services again soon. Although the shuttle was a little late, overall the experience was very positive. After advising the customer rep of my concerns of the late shuttle, she stayed with me until the shuttle arrived - very good customer service. I will not hesitate to use you on our next visit. My experience went well. The only thing, which was beyond the driver's control, was traffic. But on both trips they were professional and courteous. Guide and drivers were excellent ! I was VERY impressed with the shuttle to/from ocho rios & back to the airport! The driver was very helpful in finding my drop off location (somewhat "off the grid") and the drivers to the airport were timely and helpful with luggage and keeping us informed of a traffic situation. I will definitely recommend Jaital shuttles to anyone I know coming into Jamaica! It was affordable, comfortable and overall great customer service; from the website, check in desk to the drivers and drop-offs/pickups. Our trip was excellent. Our experience with your shuttle service was very good. Everything went very smooth and was on time. We have been going to Jamaica over the last 15 years and our experience has always been excellent. The bus was on time. Driver drove safely. No complain at all. I would recommand this company to anyone. Also good services at their desk in Grand Bahia Principe (Jamaica). I had great service. I would differently use your services again if needed. Driver was great. By far the best experience I have had, and I have been to Jamaica many times. Everyone did there best and I was more than satisfied. Everything was great. Thanks for the hospitality! Jaital service was great. I would recommend to anyone. I have been to Jamaica more times than I can count. This has been the best experience with transportation. From check in, check out and the drivers overall excellent experience. Very good experience. Smooth ride. Would recommend to everyone. Our shuttle experience was great. Good drivers, informative, and helpful. Perfect experience! Courteous drivers. Fair price!! Will use again. My experience with your company was fantastic. Easy to get on the shuttle from the airport. Staff was very friendly and helpful. At the resort the experience was the same. On pick up day the driver was 10-15 minutes late due to waiting on others at another hotel. I was informed of that and when the driver was coming. The driver was very apologetic and very nice. I explained to him that I understood these things happen but he still apologized and felt bad for making me wait. I was very please and will use your company the next vacation I have in Jamaica. Nothing but good words for driver and company. Jaital definitely exceeded my expectations! I was happy with the counter service at the airport and that we were put on one of the big air conditioned buses. The driver was outstanding and did an excellent job in pointing out all the places of interest along the way to Negril. I felt very safe with his driving and he stopped at a rest stop when asked. The price was also very reasonable but I should have booked it earlier to avoid late booking fees. We will definitely be booking it again to get back to Montego Bay airport, and we will be using it again on our future frequent trips to Jamaica. In addition, I will be recommending it to guests on my Airbnb listing for the vacation rental I own in Jamaica. Thank you so much for the service! The shuttle buses were clean and very comfortable. Our driver was courteous and polite! Offered a commentary about various points of interest while driving along the highway - quite entertaining. The condition of the vehicle was clean and seemed well maintained. I stayed in Montego Bay and found this to be an excellent and efficient from beginning to end. Highly recommend. Just to let you know, we were very satisfied with the service we received from Jaital. All went smoothly, and I can honestly say that if we return in the future, we would book with them again. My trip went well, the transfer was seemless. Over all experience was great. We had a great experience with booking the shuttle through your website. The services offered were clear and easy to understand, the vouchers came through quickly and with good instructions. Arriving in Montego Bay and in departing, the buses ran on time and the drivers were professional and courteous. We will definitely be booking our ground transport through Jaital again on our next trip. I own a travel agency and have never used you before and I have to say it was a wonderful experience. Thank you so much. 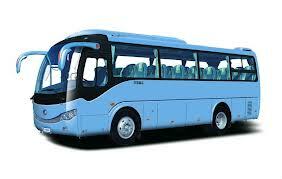 I will be using you in the future for all of my clients who needs transfers or tours. From reserving transportation on your website, to the courteous staff at the airport, and the shuttle drive to Ocho Rios, my overall experience was a very good one. The driver also made the trip interesting by pointing out areas of interest and letting us know the towns and some facts along the way. Our experience this year was great.....on the way back to the airport this morning, we were able to view a Bob Marley video....loved it....great idea....both drivers(going and coming) were very personable. Thank you for making our trip a safe and memorable one. My trips went perfectly arriving at and returning to Montego Bay airport. Drivers were very professional, courteous, and timely. I will certainly utilize Jaital transportation for my future vacations to Jamaica. Great job. Perfect. Excellent service. The service was ok. The only issue we had was that we expected the transfer at 10:15am and it arrived at 10:00am. For that reason, the driver had to wait for us, what was annoying for him and, I guess, for the other people on the bus too. Everything was just perfect from booking to getting on bus and being picked up and price was affordable. Friendly, knowledgeable staff and this is why I have used your company twice already. Transport arrangements worked fairly well for me overall. I have a very good experience with the Jaital transfer. It was excellent service and I would recommend it to anyone. Great service all around. On time pick up, pleasant driver. Good reps at hotel. Ill def use again. My trip went very well, thanks! My entire experience from booking via the website, airport arrival, quality of transport and driver, return trip/quality of transport/driver were excellent. Your staff at your airport desk were professional and totally welcoming. They kindly facilitated the information regarding my return trip as well. Your drivers were absolutely wonderful. They drove safely, were personable and friendly, and very informative. Could not have asked for a better experience. My experience travelling with your Shuttle from Montego Bay Airport to Ocho Rios and from Ocho Rios to Montego Bay Airport was great. Your drivers were very kind and informative especially the driver who took me from Montego Bay to Ocho Rios. Wish I had his name. Everything wen wonderful, thank you again. Our experience was very good. We were picked up at the Airport when we arrived and got to our resort quickly. We were picked up at our resort on time and arrived at the airport in plenty of time. We have used your service before and were please with it. I had a wonderful experience and will be using you services again, mid December, upon my return. Thanks for providing excellent customer service to all the guests to Jamaica. Your staff are very friendly and professional, I will continue to utilize your services in the future and refer others. Thank you for the opportunity to provide my feedback, keep up the great work. The experience with your service was great! Our driver was very professional and always smiling. I will contact you when visiting Jamaica again. Thank you and have a wonderful holiday! We had a great experience for our round trip to and from the hotel! Our return was better because there was less wait time to leave and we had a newer more comfortable bus but even the older bus we had coming in, our driver was so fun and entertaining it was great also! No problem Mon!! I would definitely recommend this company. Great experience for my first time in Jamaica using Jaital. Your staff was very helpful from airport transportation check-in to returning back with peace of mind knowing that I was safe and able to have a good time. Thanks for your service!! Both drivers were professional providing us with safe and enjoyable rides. We look forward to using your services the next time we visit Jamaica. We are so glad that we found your organization to help with our transportation on the last visit to Jamaica. I cannot begin to tell you how pleased we are with the courtesy and efficiency with which that was expedited. We enjoyed the humor and driving skill of your drivers. The prompt and comfortable air conditioned coaches were also appreciated. Thanks for adding to what was an enjoyable and delightful vacation experience. God bless and keep up the good work! All went well. Next time I will go with you again. Thank you for providing us with Safe, Enjoyable service on our recent stay in Jamaica. We had an amazing experience with Jaital. Pick up was on time, the driver was very patient and courteous and helped with the luggage. The bus was air conditioned and super comfortable. My experience with your company was a positive one. The staff was courteous and took care of me. Experience was great. Driver was very knowledgeable about sites and attractions. Would definitely use Jaital in the future. Took the shuttle bus from Montego Bay to my hotel in Negril and the ride was smooth and comfortable. There's AC on the bus and the driver was sharing knowledge about Jamaica and the cultural while being able to entertain the passengers on the bus. The only thing I wished the bus had was wifi but it's cool. Btw the travel time took 90 minutes. I recommend this service if you're travelling alone or as a couple [TripAdvisor re-post]. I found your website easy to use for the booking, and the drivers were courteous and respectful. I want say big thanks to the staffs starting with driver who pick up my family and I from airport, the driver who took us to Negril and took us on the day tour to Dunn's River falls and Dolphins cove. An behalf of me, my family we would like to say special thanks to our representative at the hotel, she was so delightful, patience, friendly and very professional. She made our trip go so easy and smooth because of your staff I will continue to book my future tours with you and let my friends and family do the same. My husband and my family would like to thank you for a wonderful, safe and informative bus ride to the hotel. We will definitely use you again. My ride with Jaital tours was smooth and easy. I will definitely book with Jaital again and will recommend them to family and friends visiting Jamaica. Thank you for the experience. The trip went well. Drivers did a good job. Timely drop off and pick up. I was quite pleased with the service provided and have recommended you to friends! Everything was good. The only minus it took the bus a little too long to depart from the airport. We had to wait for 30-40 min both in the heat and on the bus before we departed. The ride back to the airport was on time and fast. I had an awesome experience. Your driver's are amazing. Everything went well as usual with Jaital. It was not my first experience with you and won't be the last one. Thank you for the excellent service. We had a great experience. We would particularly like to thank again our driver on our return date who drove back to the airport after dropping us to return my husband's cell phone which he had left in the van. Thanks and we surely will use again and recommend your services. Great experience overall. drivers were courteous and always on time. I will use you the next time Im in Jamaica. I was pleased with the service and if necessary would use Jaital again. The was a short line but the customer service representatives were all pleasant and gave both clear answers and directions. The bus driver was also pleasant. He double checked where each passenger was going and made sure the correct luggage was collected. Our experience was great and always! My family and friends have been to JA several times and we've never had an issue. Thank you for helping to make our stay wonderful! My experience with Internet booking and the drivers was awesome. You provided excellent service, together with a courteous and safe driver along with a well maintained and comfortable bus for our shuttle ride to the Montego Bay Airport from Hedo Resort in Negril. Thank you for the great service! Carlos our driver was absolutely wonderful and did a great job!! It was our first time to Jamaica and he made us feel very very welcome!! We will be back and look forward to using your services again soon!! We had a great experience, thank you! Everything went very well from beginning to end. Great service. My husband and I were very pleased with the service provided by Jaital.com Montego Bay Shuttle. The staff was professional, friendly and timely...three things were truly love when we're traveling. I will wholeheartedly recommend the service to any friends traveling to Jamaica. Thank you so much for helping to make our first visit to Jamaica a great experience. The service was excellent! I look forward to using you again in the near future. It was a great experience and I will be using your services again . Thank you for such great service from beginning to end everyone was very professional and that make my visit a pleasant one. The driver was courteous and on time,introduce himself explain something about the different towns we were passing through and got us to our destination on time.i have no problem using this service again thanks! The customer service reps were very pleasant and made making the reservation easy. The drivers (both directions) were also very pleasant, safe and punctual. I’ll definitely use Jaital on my next trip back to JA. on my arrival, waiting for the bus took a long time, returning to the airport, the bus was on time. Thank you for your service and I will consider booking with you again. everything was exact what we exspected. It was perfect! The driver was very nice and good driving . He took care of us and phoned to our hotel. We made best experience with Jaital. he driver was very nice and my experience with using the service went very smoothly. The property I was staying at was not typical - it was a private place he was unfamiliar with and he went above and beyond to get me to my location safely. As a travel agent customer service important to me and I was very pleased. I will recommend your service and look forward to using it again in the future. The service was great...thank you very much! we enjoyed our experience with Jaital! Our driver, John, on the way back even gave us interesting facts about Jamaica and was very entertaining. The transportation to and from the airport was very efficient. Our driver from the airport provided us with a nice background and history of Jamaica enroute to the hotel. He was very personable and considerate. I prefer the smaller taxivan to the bus as it is more personal and I love hearing the driver’s views of the island. It’s something you don’t quite get in the larger bus. We were picked up from the hotel in the larger bus for our return to the airport. The bus arrived exactly on time and we arrived at the airport in plenty of time to catch our flight. The bus was comfortable and efficient. Very good service. We used Jaital in 2015 to go to Negril and we were pleased on both occasions. Service was very reliable and accommodating. Drivers were friendly, honest, and caring. I will always utilize Jaital for my airport transportation needs whenever I travel to Jamaica! My experience with my ride from Montego Bay airport to Riu Ocho Rios was just amazing! The people at the desk were so nice and then my driver Captain Kirk was the absolute best! He was one of the most conscious people I have met! The trip flew by and you must recognize that this man is exceptional!!! The ride back to the airport was OK. The driver ( I don't even know his name. ) He was knowledgeable. Thank goodness for the agent that worked for you as she was very reassuring. I will recommend you to anyone I know that needs transportation! Captain Kirk really made the transport the best!! Everything was good! The driver was funny and very informative. I would book the shuttle again and recommend the service. I was brought to the van promptly and safely from the airport. The driver, Jimmy, was very courteous and friendly. He entertained and the passengers on the ride to their hotels and politely answered questions. He driving was perfect and he bought me directly to my hotel without any delay or problems. My pick-up from the hotel to the airport was also prompt without any problems. I will gladly patronize Jaital for my airport transportation needs every time I visit Jamaica. Montego Bay Shuttle to and from our ship was excellent. It was very easy to sign up on your website and the rides were on time, comfortable, and pleasant. I am quite happy with your service. Thanks again for everything. I had an excellent experience with the tour bus. The guide was very knowledgable and informative. Our experience traveling with you in Jamaica was very positive.Your driver is very capable. My shuttle ride from the resort to the airport on Sunday Dec 27 was excellent; the driver was on time (slightly early, but I was also ready early), and it ended up being a private transport in a sedan, despite me booking a shared ride van for the reservation. Both drivers I had for my rides were professional and friendly. The desk staff was where they said they would be and dealt with us efficiently, we then went outside an waited for the coach which then took us to our hotel, all your staff did a good job an was pleasant, I will definitely use your services again and will recommend to friends who visit this beautiful island. My transfer was very smooth and the driver was great. As always I have found your service to be prompt, courteous, and professional. I will continue to use your service on my twice yearly trips to Jamaica. I had a good experience. No issues. Fast service. Takes some time to get to the hotel if you are staying at the Iberostar because you have to stop at 3 or 4 hotels along the way, but fast back to the airport because there are no stops. Overall good experience. I have used this service twice on two separate trips to Jamaica. Our experience with you was awesome. You made us feel at home as soon as we arrived to Jamaica. We miss it there already and will definitely be returning there in the near future! Thank you again for your hospitality we definitely appreciated it! Everything was very satisfactory. The driver was very courteous, and I will always recommend Jaital. I received top quality service as always. Our driver Ninga was great (arrival and departure. Definitely will use your service on my next visit. We had a great experience and Mr. Brown was a good informative driver. We have used your services before and will use it again. I had a wonderful experience with your services. Your drivers were very courteous and friendly as well as professional. I really appreciated the timely service which your company displayed by the round trip service to and from the airport. Everything went smoothly, friendly driver and counter staff. Thanks and I will use Jaital again. We were very happy with the service and your personnel. The experience was great the driver was very friendly! Transfer service was accommodating. All went well. We want to thank you for taking care of our transportation needs while we were in Jamaica. It was a good experience for us - the drivers were on time, efficient, careful, and professional. Thank you for your service and we hope you continue to do a good job for the country. Had a great time, thank you for the prompt service. Booking my transportation on your website was very easy and your website contains all the necessary information and is easy to handle, too I had a good experience with your company, everything was irieJ and I would choose it again, if I visit Jamaica again. We were very satisfied with the shuttle service. Both of our rides to and from the airport were very good. My ride was ok....Great service! Wonderful Trip and service. Thank you! Your staff was very friendly and our transport to and from the resort was seemless. Thank you for the easy and enjoyable service! The drivers were helpful and professional. They were prompt and excellent drivers. Both drivers were courteous and good drivers. I could resume my experience with you guys and one word: FANTASTIC!!! It Was a very good experience...your driver was very courteous. I will definitely do this shuttle again. My experience was great love you guys and I use your service all the time. I had a great traveling/transfer experience both to and from hotel to airport. The drivers were polite and friendly. The buses were nice, clean and cool. Thanks again, I feel appreciated. The trip, both directions, went great. We enjoyed everything the driver pointed out on the way to the resort and the Bob Marley video on the way back to the airport was interesting. Great experience - no problems. Thanks. Absolutely perfect! A pleasure to do business with Jaital! Thanks and I will see you soon. Driver of shuttle was excellent. Overall experience was outstanding and pick up and drop was on time. My family had a great experience with your team (website, guide and driver). Thanks for the professionalism of the team. We look forward to using your company whenever we visit Jamaica. I would like to thank you all for your professional experience with my airport transport. Our driver was so nice both times. We had a very smooth ride and on time, which is very important. Thank you again I will definitely let all know who to use for transport in Jamaica. My experience going from the airport to hotel was good. The service was good , specially the return to airport. The service was great from your company. I definitely plan on coming back and when I do I will be using your bus service again. I will also recommend everyone I know to use your services. I used Jaital to and from Montego Bay airport arriving at one resort and departing from another. Both drivers were awesome with great personalities and experience. They both were very knowledgeable and accommodating. I found your service online and if ever am in Jamaica again I would definitely book with you. Your company made getting to and from the airport seamless and booking online was quite easy. I had the most amazing experience and recommended your company to all of my friends. My driver, Garth not only slowed down a little when I felt car sick but he made the ride and my transfer a comfortable one. He offered a lot of information about Jamaica and I was a happy customer. I have been to Jamaica a few times and I often found my drivers to be either inappropriate or in a rush and he was neither. I appreciate your services and I will surely be a repeat customer! My experience with the drivers was great, the driver that brought us to our hotel, also the taxi driver who pick us up and driver who brought us back to airport. We had a great time and the ride was great. My ride went well. The bus driver was entertaining and pleasant. I had a great experience, the drivers I had were so friendly and very good people. If I am going again to Jamaica I will get the same service. My experience with your company was good overall. The shuttle was punctual and the drivers were friendly. I would use your company again in the future. We had a wonderful time visiting Jamaica. Jaital staff was extremely helpful and courteous. Your drivers/tour guides did a wonderful job! Everything was organized and we were on time. Thanks for a great experience! No issues at all. Very good experience. I had a wonderful time visiting Jamaica recently, my experience ended with a transfer back to Montego Bay airport from negril by Jaital. Your driver was on time very courteous and drove very safely Your booking process was fine and easy to use. We were very satisfied with all aspects of our experience with the Montego Bay Shuttle. The website was easy to access and to make reservations, check in at your airport desk was easy, the driver handled the loading of our luggage and provided a comfortable, fast trip to the Holiday Inn Sunspree. Your representative at the resort arranged out return trip to the airport quickly and easily and the shuttle arrived at the resort promptly as arranged and got us to the airport quickly. Overall an excellent job. We\'ll surely use you again the next time we are in Jamaica. The service was great both ways.\\ I would definitely use you again and recommend your service. Overall, my experience was quiet pleasant. The drivers helped to make the travel fun, by providing some of Jamaica’s history. We had to reschedule transfers from the Airport to the Resort at the last moment and it was done smoothly and quickly. The ride was smooth, the drivers were helpful during the entire time. We would definitely recommend this company to anyone looking for reliable and knowledgeable drivers and guides! My experience with your service was excellent. I had forgotten to inform the person at the hotel within 24 hours for my pick up time. So the hotel helped me out and I received a call emediately from a Jaital representative on the day of departure and they confirmed that there was a vehicle coming for me. They came on time with good service. Thank you for your service. I will be using you in the future. I must say that my trip to and from the airport was informative. The drivers were friendly and acted as our guide while we were traveling to our destinations. I will use your services again when I return to Jamaica. Thank you for asking. Everything went well driver was friendly, drive was enjoyable, bus was clean and comfortable. No complaints. My experience with jaital was great, I will definitely be using your service again and also recommending your service to my friends and family. Very professionally run company. One love - Respect! The experience was far better than I expected. The staff at the airport were very professional and courteous. They kindly instructed and directed me to the awaiting van. I was not kept waiting at the airport which I was extremely pleased of. The driver was very kind and respectful to all guests. He gladly answered questions and did not hastile or pressure anyone. Should I travel to Jamaica in the futre, No question I will utilize Jaital airport transportation again. The service was great and efficient. The vehicles were air conditioned and clean. The drivers were friendly and professional. Everything went very well, will be using your service again. Everything went smooth, thank you for your service. Great service, helpful drivers, clean vehicles, prompt pickup and delivery. We will definitely recommend your company to others. We had a wonderful experience while in your beautiful Jamaica, and the level of service contributed to this experience. We will definitely be back and will use your shuttle service in the future! Thank you for being very professional, timely, and courteous. The driver from Montego Bay to Negril provided an informative and fun commentary for most of the trip. I had been to Negril many times before, but never have had a guide who gave so much historic and relevant information about the island. As it was my husband\'s first time to the island, this was particularly nice. Thank you again. Everything was perfect,, and went very smooth from booking with Jaital. Communication was very easy. Will definitely recommend you guys to others in the future. Thank you! I had a good experience with your company. Your guide is a very valuable member of your team and did her job exceptionally well. Please commend her on a job well done. Everything was perfect. Would use your service again and recommend your company to others that are visiting Jamaica. Everything thing was good looking forward to using your service again in sept.
We enjoyed the ride, the driver gave a little history of Jamacia along the way which was nice. They were very punctual and happy people. Very enjoyable. lifton was my driver on both trips and was great. Provided good music and commentary. My experience was excellent. Drivers were polite and most importantly . . . ON TIME!! Thank you. Overall, the service was very good. The booking process was easy. The drivers arrived on time. The buses were clean. It was a good experience, I plan to use you on our next visit. We had a great time with you r drivers and service going both to and from he airport. We come to Jamaica at least 1 to 2 times a year and will use your sevices again ! As went very well. My only concern was the very early pickup on the return trip. I was picked up at 930a for a 133p flight. Originally I was due to be picked up at 1020a when my pickup was going to be from the Holiday Inn Sunspree. My hotel was changed to Sunset Beach. I will definitely use your services again. my experience with the shuttle ride from the airport to the hotel was very good. We had Leonard, who was a nice and responsible driver. He guaranteed getting us to our destination safely and in a reasonable time. I would recommend your service to anyone I know travelling to Jamaica! Everyone was extremely professional, pleasant and friendly. We were picked up on time and the buses were cool and comfortable. I will recommend Jaital tours to everyone visiting Jamaica. We were very pleased with the service provided. Drivers for the shuttle were very cordial. We would use your company again and will definitely recommend you to people that we know that will be traveling to MoBay. Thank you. The experience was good thanks to you all for for your service! The shuttle was great and your drivers were friendly and helpful. Thank you. The experience was a good one and I would certainly use your services again. Thanks for the wonderful service.I\'ll surly use you services next time,.the sale representative at the airport was very nice, drivers where polite on time for pick up.. very thing nice..i did introduce your company with my friends..Awesome.. PERFECT!! THANK YOU VERY MUCH!!! Thanks for the excellent services from the desk service to the bus driver.wonderful job,.I\'m recommending your Service with everyone and I\'ll definitely use you again and again.thanks again and keep up the good work..you guys are the best..
My friend, Elizabeth, and I were so blessed by your staff. We enjoyed the trip to the Westender Inn and also the return trip. We appreciated the drivers \" going off beaten path\" to take us to the Inn and pick us up. The drivers were on time, courteous, and friendly. The staff at the airport went out of their way to connect me with my friend (We traveled on different airlines.) and make her feel welcome until I arrived. Thank you and God Bless you all! I would highly recommend Jaital to anyone! The driver was friendly and curteous and a jolly person who also gave us all information on places we passed through on the way to Montego Bay airport, a lovely gentleman. I would definately be using Jaital again when next in Jamaica. Yes, all went well. I would book with Jaital again. It was a good trip. So glad that you offer this service. We were very pleased with our shuttle service! The drivers were timely, friendly and the busses were clean and neat! Thank you for your service! Thank you so much. It was perfect. Our experience was very pleasant it was a smooth ride going to the resort and back to the airport. I had an excellent experience with your service on our trip to Jamaica. It was prompt, and our drivers (Bruce on the way to Ochi and Mark on the way back to the airport) were both friendly and fabulous. I will use your service again next time I\'m in Jamaica and recommend it to any friends travelling there. Thank you so much for your great work!! Our experience was awesome!! No problems whatsoever!! Both of our drivers were exceptional!! Very helpful & went above & beyond to make us happy!! We even had one driver who sang to us!! Yeah mon!! Keep up the great work!! We would definitely use your service again & recommend it to everyone!!! I have to say all my expectations were met… thankyou… timely, curtious, and safe. What more could a traveler ask for? I would not hesitate to use your service again. My experience was okay. I would use this service again and recommend a friend. It was great thank you! We visited Jamaica recently and returned Dec 15. We rode your shuttle from Montego Bay to Ocho Rios and back. Once we found the desk at the Airport when we arrived we received excellent service and were on our way shortly after. Both drivers were professional and we enjoyed the ride both ways. We will use your service again. Thanks. We left the airport in a decent amount of time (10 minutes) and were picked up at the hotel only 5 min after pick up time so overall it went smoothly! Thanks! Outstanding tour guides and drivers! High praise for the expert driving on such narrow and challenging roads. Our tours were very informative about the \"true\" Jamaican people and the landscape. My experience from booking right up until my departure pick up was great. When I arrived the desk was very organized and helpful, the drivers were fantastic. I was going to meet friends and they spoke to them to figure out what hotel I was going to. For my departure The driver comforted me on the drive back to Montego Bay as I was a little upset about leaving. I come to jamaica often and will never use another shuttle/tour company. We were very pleased with your shuttle service. Both trips had great drivers, short wait times, and comfortable vehicles. The experience was good. The driver was professional and friendly. I would use this service again. Thank you. I want to thank you for the good service I received, particularly timeliness and attentiveness of the staff. Our experience was just fine. Great drivers and good service. Our experience with your company was a pleasant one. All employees were very professional and friendly. Everytime I go to Jamaica I choose to be transported by a shuttle forme Jaital. I had a good experience in the pass with your company, and I know I could relied on youh to pick me up every where I need to. The ride from Negril to Sangster International was excellent...Derrick our driver was tremendous. Everything was excellent! it was pretty easy to find at the airport! The driver was on time both ways. It was very easy to do business with you! we appreciated it! Thank you, I had an amazing time in Jamaica and the drivers were really professional and on time. The service was great to and from airport. The driver was on time and very nice to talk to. Sorry it took me so long to reply! We had a blast! We did the shuttle service, zip lining, river tubing, best of Ocho Rios, and Margaritaville in Negril. All was amazing. Our drivers and tour guides were phenomenal! Our cousins are actually looking to go to Jamaica and we recommended your company for activities and airport shuttle! Both from the Airport and to the Airport were very delightful drives. While the roads are curvy and narrow, both your drivers handle them with expertise. They buses were on time, properly cooled down and the luggage was handled well. Both drivers were friendly and informative. Often folks in the hospitality industry serve you with lackluster and forget that the vacationer is just wanting a smile and a caring individual to talk to. Your folks are happy and helpful - that makes for great customer service. Booking it was fast and finding the counter at the airport was easy. Overall a 10/10 experience. Yes. Our trip went very well. Courteous driver who obeyed the road rules and acquainted us with interesting details along the journey. We will use Jaital in the future and recommend to others. Thank you! You may pat yourselves on the back, for I had a very happy experience and would have no hesitate to ride with you, again. Everything worked out great and we are very glad to have taken the shuttle. The drivers are very kind and talkative the whole trip. The expreience was wonderful. The drivers, especially on the return trip were very polite and helpful. I plan on using this service should I return to Jamaica in the future. great experience thank you so much. everything irie! Everything was great. Your drivers were awesome. See you next year. Thank you for your service, everything went good, Thanks again, I plan on using again on next visit. Thank you so much, our trip was very enjoyable and the service was excellent. The drivers made us comfortable and took care of us. Our last driver,he was on time and excellent. I would recommend to my friends and would definitely use your service again. I have been to Jamaica many times, but this was my first time actually using a private shuttle, I was unsure of the reliability but your service was very professional and punctual. Your drivers are very entertaining and respectful. On my next trip to Jamaica later this year, I will without a doubt be booking my travel services through Jaital. Everything was great and went smoothly. Your front desk representatives both at the hotel and the airport were courteous and efficient. The drivers were as well. The shuttle was on time both ways and the drivers were informative and entertaining. Hope to be in Jamaica again soon. The service provided by your company was invaluable to us. We needed one way transportation to Ocho Rios and that is what we found at your website. Other places only offered round trip. The driver was quite efficient and courteous. We arrived safely and in a timely manner at our destination. I will use your service again should I be in a situation where it would be needed. Thank you for your wonderful service. The customer service and drivers provided excellent service which made our transportation to and from the resort a pleasant experience. Thanks again and when my family returns to Jamaica we will definitely book our shuttle service with Jaital! My overall experience was fantastic with Jaital. I will definitely use Jaital again for my next trip. Was very pleased with service received!!! On time. No problems. Clean van. Experienced driver. All went well. I can definitely recommend your services to anyone who is planning a vacation to Jamaica and is in need of a reliable and trustworthy transportation service. First of all I was impressed by your website which is easy to navigate and is very straightforward to use. It was also reassuring knowing that I was able to book just 24 hours before travel on my return trip to the airport as I was touring the island and wasn\'t sure which hotel I would spend my last evening at prior to departure. Your drivers are professional, friendly and informative as are the staff at the front desk at Sangster airport, and best of all your prices are reasonable. I will definitely be a returning customer and will encourage others to use your services. It\'s a big \'thumbs up\' from me! I travel to Jamaica 2-3 times a year, I have been using your services for the pass 2 years, all my experiences have been positive. I have found all the staff to be professional, supportive and helpful particularly the drivers who have ensured my safety and journey to and from the airport has been entertaining and memorable. So I will always use your services when travelling to Jamaica. Everything went very smoothly from the airport. I found assistance quickly.The driver was very nice and got me to my destination with no problems. I\'m very satisfied with the service, everything was good. Thank you. looking forward for the next time. Since Grand Lido Negril stopped providing free transfers in March 2013, I have been using Jaital. I come to Jamaica twice a year and have found your company to be prompt and professional. I will use you again when I return in March 2015. We had no problems. It seemed easy to find our rep at both the airport and resort. Our drivers were courteous and friendly. My experience with your company is always positive. I feel I could always count on your service on arrival in Montego bay as well as when I need to be pick up. Wich I will call in fews days to reserve my return to airport. Thanks again and look forward to do business with you. It was a great experience. I would book with Jaital again. The ride was fine, and the driver was informative and friendly. I would definitely recommend him.